For those who have been in the workforce for more than a year, it is safe to say that we’ve all been in one of “those” situations before. You know, when you’re “in the zone” and then someone disturbs you to tell you about their crappy day, when your boss snaps at you unfairly, when you’re just about to finish your big project and the day before, you get transferred or assigned to another. Isn’t that frustrating?! According to Cynthia Fisher’s study, the five common negative emotions in the workplace are Frustration/ Irritation, Worry/Nervousness, Anger, Dislike and Disappointment. Sometimes one of these emotions may even lead to another. These negative emotions have undoubtedly struck us during our working lives, despite our burning passion to deliver quality output to our bosses. Coping with these emotions is tough, especially when you aren’t even aware of how you feel. As they say, only with awareness can we see where our steps are taking us. Being self-aware and practicing self-awareness are signs of emotional intelligence, which helps you handle these negative emotions. In a recent Huffington post by Dr. Travis Bradberry about the “Habits of Highly Emotionally Intelligent People”, I realized that these habits always had something to do with self-regulation. According to Dr. Bradberry, emotional intelligence or emotional quotient (EQ) is made up of four core skills that pair up two primary competencies: personal and social competence. 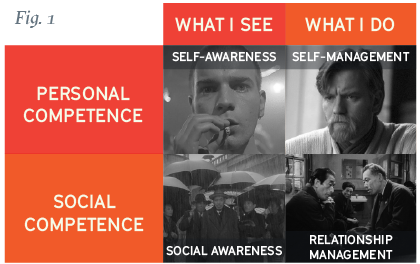 In the figure above you can see that under personal competence is self-awareness and self-management, while under social competence is social awareness and relationship management. Personal competence is more about one’s ability to stay aware of one’s own emotions and manage those feelings, behaviors or tendencies. So, the first ingredient of emotional intelligence is self awareness, which is your ability to accurately perceive what you feel and to stay aware of these feelings as they occur. Now that you’re aware of your emotions, the next thing to do is to manage your behaviour. In this case, it is about using that awareness to stay flexible and positively direct your reaction to others. Once both self-awareness and self-management are mastered, then we move to the second type of competence, social competence. Social competence is also composed of two categories: social awareness and relationship management. Social awareness is how a person interprets the emotion of another. It’s like how the movie Inside Out by Pixar portrayed how Riley’s mom and dad were ‘reading’ each other’s emotions during the dinner argument with Riley — apparently Dad had a lower EQ as he wasn’t able to respond accordingly. Under relationship management, you then try to manage interactions successfully by detecting the emotions of others and being aware of your own. Now, how does all this information relate to frustration at the workplace? The answer is simple. It’s in our experiences. How we interpret situations and react is the real culprit for our feelings of frustration, anger or irritability. Although it seems like emotional intelligence is intangible, we have within ourselves the ability of self-control, which means that we have some sovereignty on how we act (and sometimes how we feel) despite a disturbing situation. Being conscious of our emotions and of others’ will usually help us get through these common negative emotions in the workplace. Why focus on the negative emotions when there are positive ones? On this point, negative emotions give off bad vibes. Instead, let’s focus on the latest positives in Chromedia! First, I would like to send out “Congratulations!” to Mign for successfully transitioning from a social media/digital marketer to a Project Manager in MEDtrip. 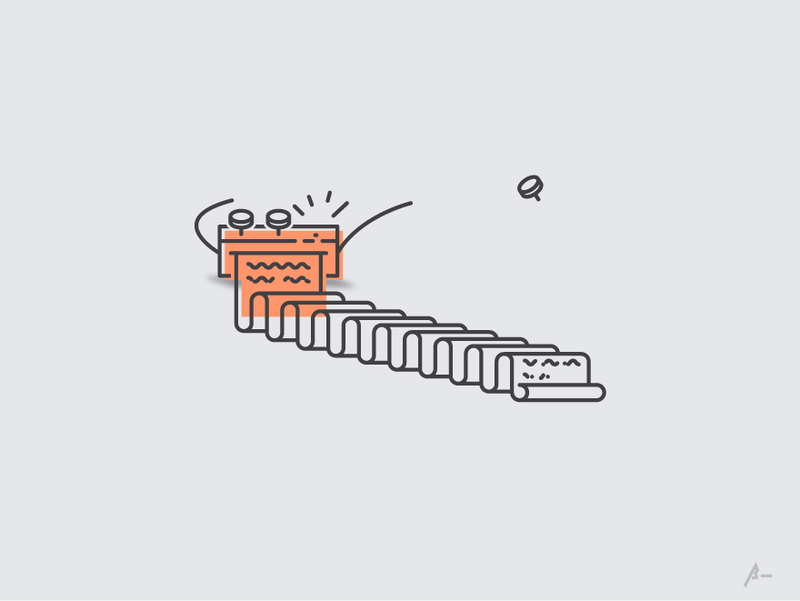 It’s a big leap but management is confident in your skills and that you’ll turn out to be a good leader in a year or so. Second, a “Thank you!” to James who endlessly worked in balancing his responsibilities in the project assigned to him and guiding the On-the-Job trainees (Mark Robin, Erik Alicaya & John Dino) in their journey, learning how the corporate world works. Third, another “Congratulations!” is due for Rexon and Arthur who have successfully been regularized last August and October, respectively.